Christina O once was a Canadian River class frigate called HMCS Stormont. Commandeered to serve in World War II, the vessel witnessed the D-Day landings before languishing as a navy surplus vessel. 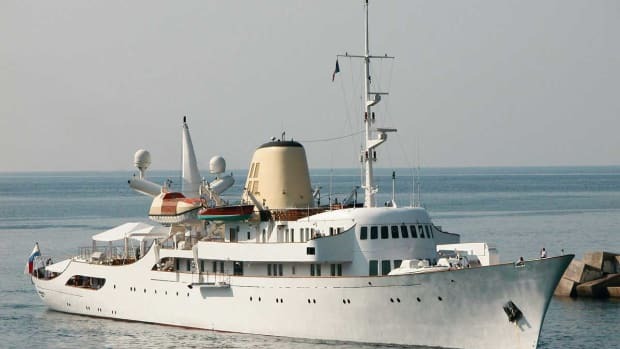 Aristotle Onassis purchased the hull in 1954 for $34,000, and his $4-million refit initiated a popular trend in conversion.